Havn't seen this around, so thought i would post it. All credit goes to whomever made this. 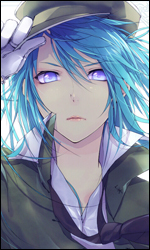 My irc spahs tell me that this is a CG from sister x sister ~lovevery sisters~ which is sadly off topic. Looks like Shizune or it´s just me? Is it really just me or does she really look like Shizune, it´s really eating me. I am who I am by being myself and nothing else. Re: Looks like Shizune or it´s just me? She does. You'd be smacked over the difference in 'vital measurements', though. Anyway, locking for offtopic and adding due warnings. Definitely not just you, she even has a similar "displeased" expression. Since occasionally you'll stumble upon character designs similar to ours, this is the place for posting and laughing at discussing them. It's best to use NSFW tagging, just in case. I have a feeling this thread will need to be stickied. Nah. 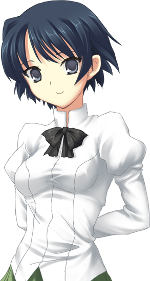 Shizune wears a sailor outfit; this girl wears a blazer. They're not similar at all! Nestor wrote: I have a feeling this thread will need to be stickied. It's already stickied, if you know what I mean. Some of her facial expressions are uncannily like Shizune. I always thought that Hiyono from Spiral looked kinda like Misha. What I was saying is that the face and expressions are similar not the everything else, I don't tend to look at every detail of everything I asimilate stuff with. Please excuse that. I was being sarcastic, too! I say we go on a quest to find THE lookalikes. And after that post them and make fun of them for being wannabes. Who's with me? Fronzel wrote: I always thought that Hiyono from Spiral looked kinda like Misha.